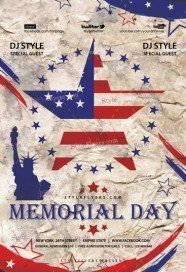 Memorial day parties can become your success. So we think it will be appropriate to collect all our premium memorial day flyers templates into one listing. It will make your searching faster and easier. 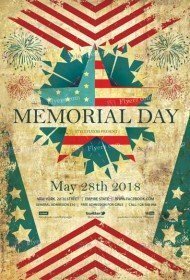 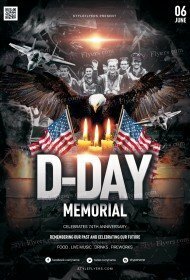 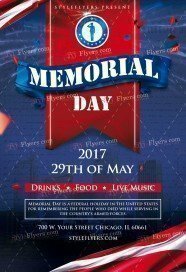 Now your can buy Memorial Day flyer template just in few second. 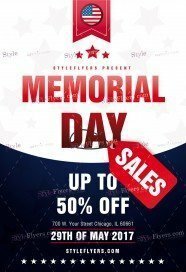 Here you can find the most attractive printable samples on the internet. Customize Photoshop files and post they everywhere you can. 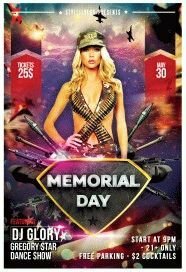 And remember one important detail all models which are illustrated in the flyers are not for sale. 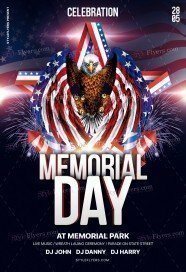 You will need to add your model to it. But don’t worry, due to our easy customization you can do it just in few seconds! 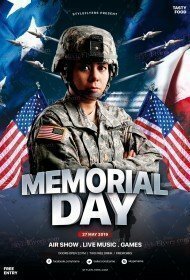 If you think that such task isn’t for you, you can hire us, and we will do all work for you. 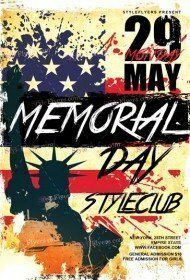 Our designers are professionals; you should not be worry about its quality! 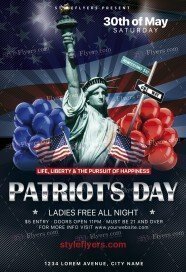 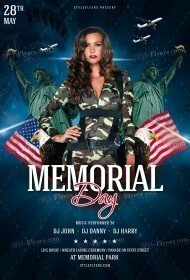 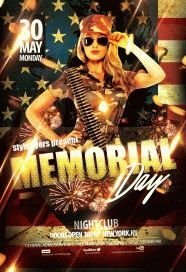 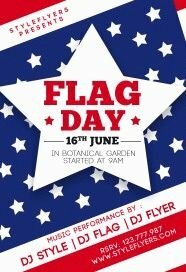 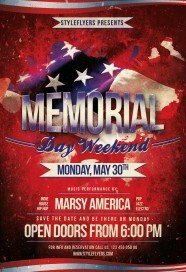 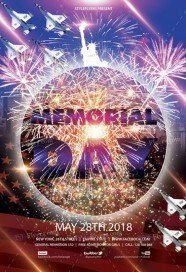 Buy Memorial Day flyer PSD templates right now and boost your nightclub! 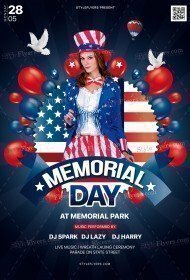 The cheapest price and high quality you can buy here in our Memorial Day flyers category! 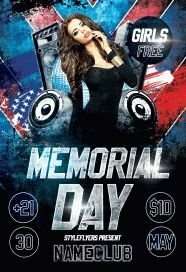 Don’t forget to use our Facebook cover for your online promotion.